Today (December 14th, 2007) we started this customer gallery! 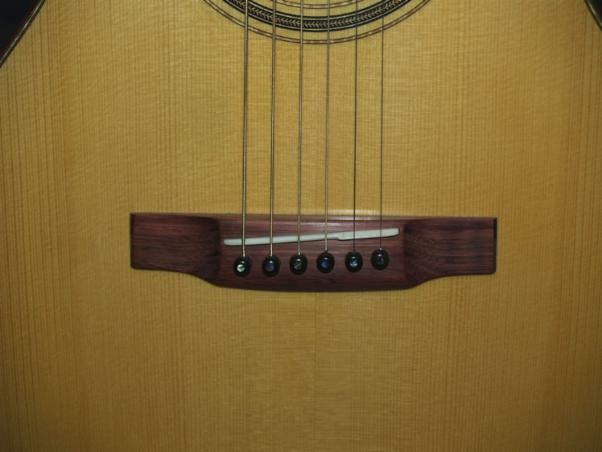 Soon you can find here more pics from instruments that were made with our tonewood. 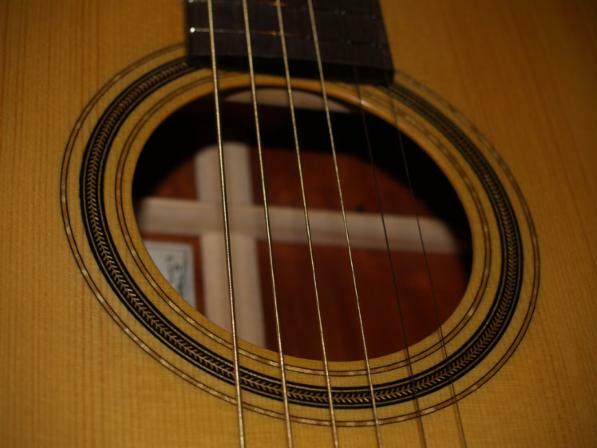 If you want to get in contact with one of the luthier who is not named on my customers list feel free to ask me - I will be glad to act as a cross-link. Klick on the red name and the luthier´s website opens in a new window (if applies). Who does not know this icon? We alll know his outstanding work incl. his "Schoenberg" guitars ... and from time to time he pulls out ultra-rare tonewoods for a special project: one of his last celebrity guitars (for Joe Satriani) was made of pernambuco (yes!) and Bruce topped it with one of our German Moonspruce soundboards. 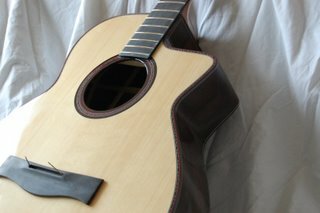 "The P(ernambuco) was topped with an "A" grade German top I got from Eurospruce. A surprisingly nice top IMO, the degrade had more to do with aesthetics than structure. The other "00" was topped with a super high grade Italian Top from a specialty supplier I see at NAMM every year. He walks around with his interpreter and always has very nice stuff. The price is very high from my point of view. 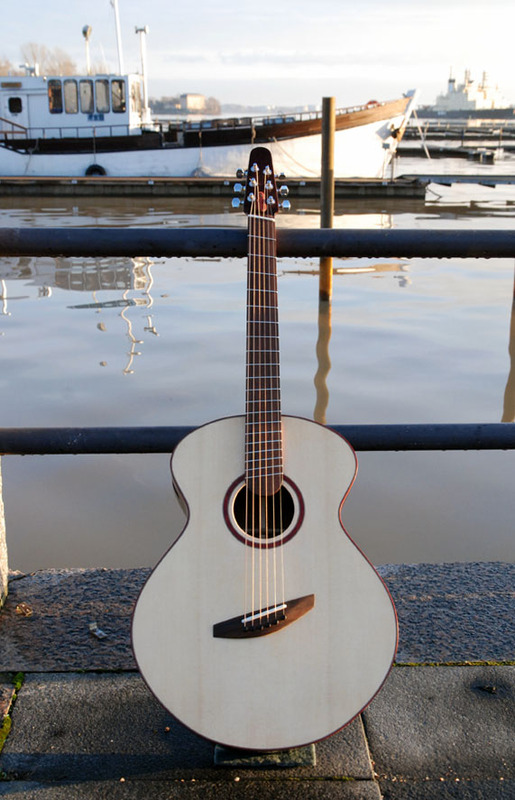 The customer for the guitar supplied the top, but I did think it fantastic (aesthetically), and I have since acquired more for my private stash. 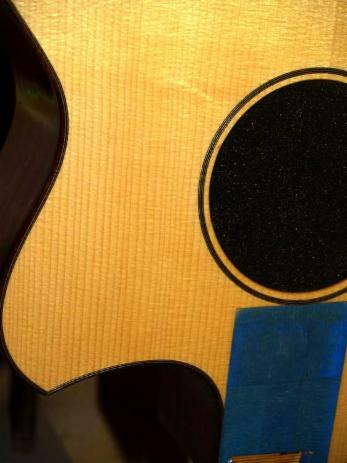 I stress aesthetics because when all was said and done, the $20 top made at least as good a guitar as the $200 top." Nice comparison, nothing to ad from my side - thanks Bruce! 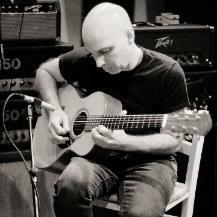 Bruce Sexauer on 13thfret.com, explaining the pic below: "This is a Eurospruce single A top. It is perfectly quartered." 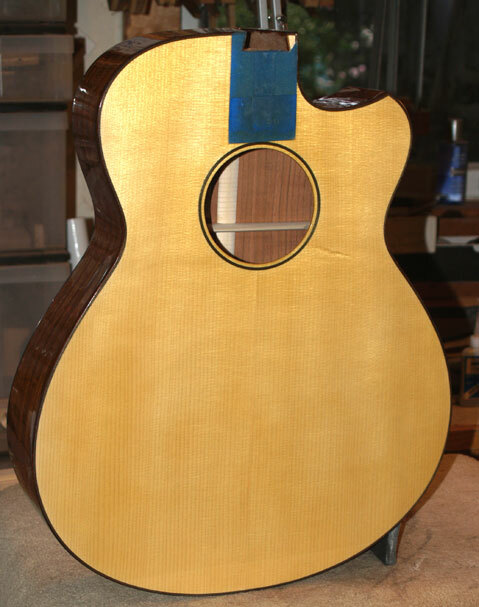 A-grade is our "lowest" grade, but all tops are handselected for quartercut, tap tone, stiffness, no runout etc. 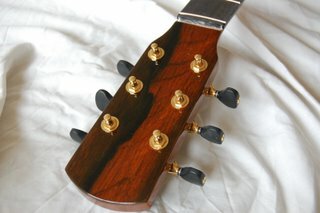 As you can see these tops make an high-end guitar! Read Bruce comments above and you will learn more about "excellent master grade from others" vs. "our A-grade". Thanks Bruce - and please keep on making such outstanding guitars! Jarno makes three different sized (and excellent!) guitars in his own style with various options, incl. a fan-fretted version. He used one of our mastergrade German Moonspruce on this. 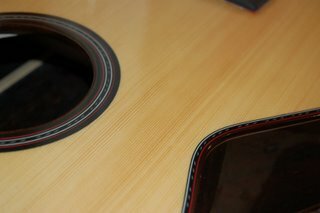 Below: detail of same guitar, German Moonspruce Master top, full of silk/medullary rays. Henner makes, when his daytime job allows, various antique instruments, including baroque lutes and arch lutes. This pictured instrument is a recently finished archlute ("Arciliuto", ex Martinus Harz) with 14 courses. 67 + 144 cm "scale". 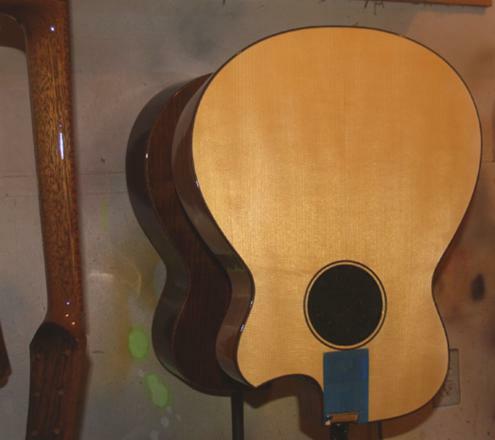 The top is an old stock Master Alpine spruce top from us. "Ich habe eine der Decken ... die Sie mir geschickt haben, verwendet. Ein tolles Holz, nochmals mein verbindlichster Dank. Der Klag ist wunderbar, voll, silbirg und laut." After working for more than a decade (since 1988) with Stefan Sobel he started his own enterprise in 2003, making excellent guitars at the same outstanding level in his own workshop and under his own name. 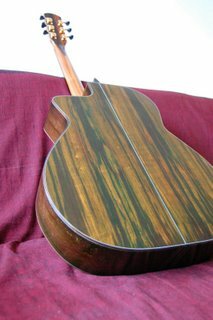 Below are some pics of a guitar he recently finished with one of our Caucasian spruce tops - his comment speaks for itself: "I love it!" (N. Forster, March 2008). 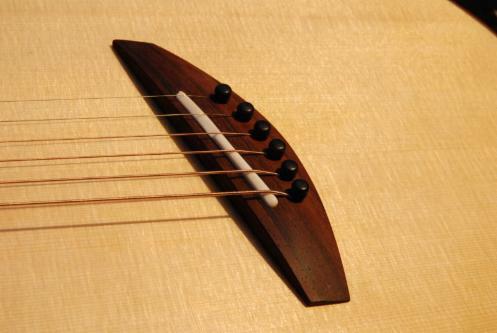 Yaron made this experemential guitar with double soundports, armrest, cantilevered fretboard and "guitar rest" (note the "horn" for preventing slippering when played while sitting) using our Caucasian spruce.